Cal Tjader crafted one the sleekest and most distinctive sounds in Latin jazz. His cool, shimmering, jazz vibes, gliding fluidly atop fiery, hot Afro-Cuban rhythms, made for a sonic signature that helped introduce the genre into a mainstream audience. Cal Tjader’s mother was a concert pianist, his father a vaudeville performer. He grew up with them on the road, tap- dancing his way through early childhood. Later, the family settled down in San Mateo on the San Francisco Peninsula, and his father opened a dancing school. After high school and a stint in the Navy, Cal ended up at San Francisco State College, where he first met up with Dave Brubeck and Paul Desmond. Tjader graduated in 1950 with a B.A. in education and a minor in music. With Brubeck, Tjader hit the big time and he liked it. The years between 1949 and 1951 were spent with Brubeck. Then, after a short stint as leader of his own group, Cal joined George Shearing’s Quintet as featured vibraphonist and percussionist. While with Shearing Cal made frequent trips to New York and began listening to the Latin New York bands of Tito Puente and Machito. When Tjader left Shearing, he formed his own group again and began to record prolifically for Fantasy. Between 1954 and 1962, Tjader cut a series of over 20 albums for Fantasy. The list of people who recorded with him during that time is truly impressive. Some are Eddie Palmieri, (on whom he had a major influence) Vince Guaraldi, Mongo Santamaria, Willie Bobo, Stan Getz, Al McKibbon, Armando Peraza, Latin percussionist Johnnie Rae, and saxophonist Paul Horn. Many of those albums are still in the Fantasy catalog. He then signed on with Verve in 1963, and continued on a roll. Tjader re-signed with Fantasy Records in 1970. Some of his varied recordings for Fantasy include a collaborative effort with Charlie Byrd “Tambu,” (’73) and an exciting live performance “Puttin’ It Together.” (’75) His much-acclaimed “Amazonas,” (’75) was produced by Airto, with arrangements from keyboard wizard George Duke. 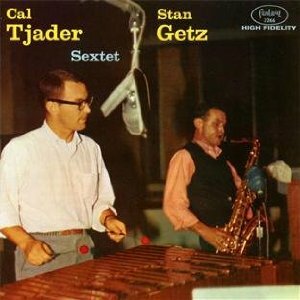 Cal Tjader also worked with a great variety of groups and formats, as with Carmen Mcrae, Mary Stallings, Modern Mambo Quintet, and his Quartet, with which he opted for a more straight ahead jazz direction. His recorded output was immense, and many are readily available as his popularity has remained unabated. Cal Tjader died May 5, 1982. 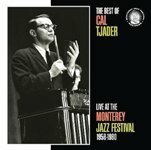 The First Biography Of Cal Tjader Is Now Available! All About Jazz musician pages are maintained by musicians, publicists and trusted members like you. Interested? Tell us why you would like to improve the Cal Tjader musician page.